Does Chess Prodigy World No. 1 Magnus Carlsen practice Chess Hypnotism? Grandmaster Hikaru Nakamura at the Sinquefield Chess Cup Round 3 in Saint Louis on Thursday, September 12. The tweet and quote are by American Grandmaster Hikaru Nakamura in reference to his "sunglasses/futuristic" look when he turned up for the third round at the Sinquefield Chess Cup 2013 in Saint Louis three days back. His opponent? 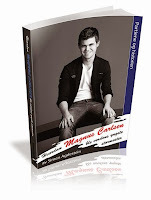 Magnus Carlsen! 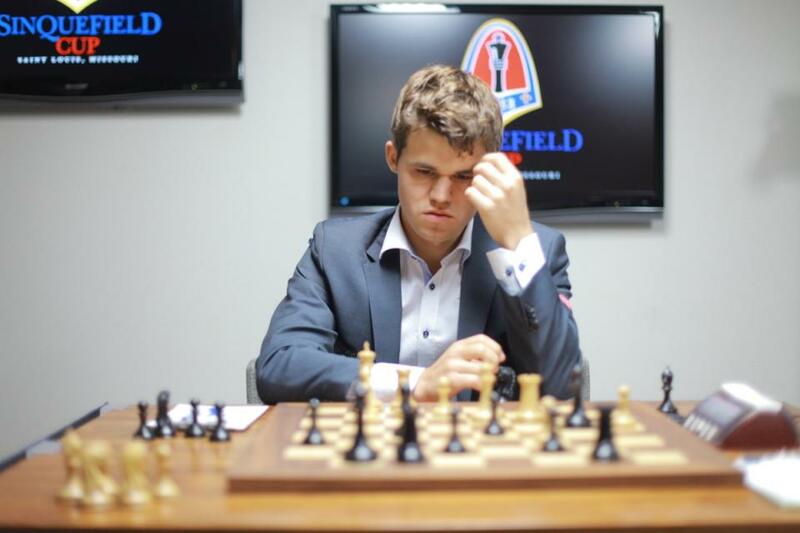 Was it "something different" or, an antidote to Carlsen's chess hypnotism? There's been this rumour circulating in the chess world for quite some time that Carlsen is not a chess practitioner in the traditional sense because he uses chess hypnotism. The antidote to his "abilities" is not to make eye contact with him during a game! Is that what Hikaru Nakamura attempted in Saint Louis? The game ended in a draw though Carlsen had to sacrifice his exchange and could have been heading for the gallows. Carlsen survived. Back in 2011, during the veterans’ chess tournament in Suzdal, Russia, 80-year-old Victor Korchnoi talked to Vladimir Barsky and Alexander Bykhovsky and said, Magnus Carlsen achieves his success due to “hypnotic abilities”. The legendary Viktor Korchnoi told ChessPro in an interview: "I don’t see that Carlsen has the chess ability and I can’t understand at all how he achieves such incredible success. I can guess why, but it’s got no direct relation to chess. In the new edition of my 'Selected Games' I’ve added some things. For example, a game which I won in the 1974 match against Mecking (left). The key game of the whole match was the seventh. I could have lost it and then Mecking might have won the match. I’d been utterly outplayed! "Nevertheless, I managed to adjourn the game in an endgame a pawn down. He’s a serious player and had won two inter-zonal tournaments, and I was a pawn down; in general, I’d already written myself off… And what happened? I won that adjourned game! A pawn down, in the endgame! And I started to ask myself: how’s such a thing possible? 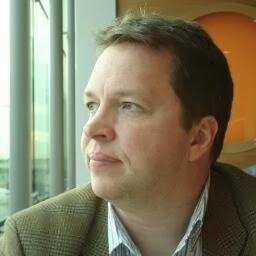 "I began my discussion of the game: “In the chess world there are a few people with absolutely incredible hypnotic abilities. 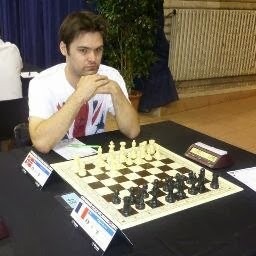 I consider Henrique Mecking to be among a group of three people who’ve achieved success in chess in that manner. Those are Mikhail Tal, Magnus Carlsen and Henrique Mecking”. "I wrote that, and who objected? Kasparov didn’t agree, but that’s his business! I’ve got my own outlook on life and chess. The man forced his opponent to play as he wanted at the board. Then he goes home where there’s no opponent; and as a result he loses a drawn position. It’s not chess but something totally different! That’s how I see it. 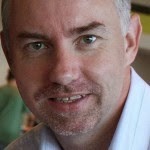 There are thousands of downloads (both free and paid) available on the Internet for subliminal self-hypnosis. These audio programmes claim to build your memory in record time, improve your concentration skills and help bring about a state of complete and total focus for playing strong chess. This is all self hypnosis. As rumour would have it, Carlsen practices a sort of hypnosis that gets his opponent onto the back foot and into blunders. Any Indian chess street-fighter would tell you that "this type of chess hypnosis" does exist and is used by focusing really hard on a particular square during the game. Supposedly, this unsettles the opponent. This chess hypnotism requires plenty of energy and these chess players also say that chess hypnotism could affect ones health. Chess - being a sport of concentration - obviously requires enhanced focus and concentration. 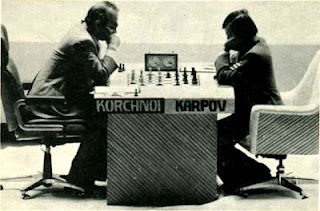 So, it is understood that professional chess players do use techniques to enhance focus and concentration. How much of this involves hypnotism of the opponent is anybody's guess. Indian chess players are known to use pranayama breathing techniques, regular physical fitness programmes, meditation etc. to calm their mind and improve concentration, but none have confessed about using any chess hypnotism. In lighter vein, here is Russian maverick Grandmaster Alexander Morozovich's comment in an interview to WGM Alina L'Ami's question: What about oddities, have you done anything unusual in your training? "Well, I regularly practice chess hypnotism. Without any result:) Recently I've started taking my backpack to the games with a much better effect. A number of very impressionable players have been thinking of what's inside more than about their own games! We even had a funny advert circulating online after Hikaru Nakamura's "something different" appearance. 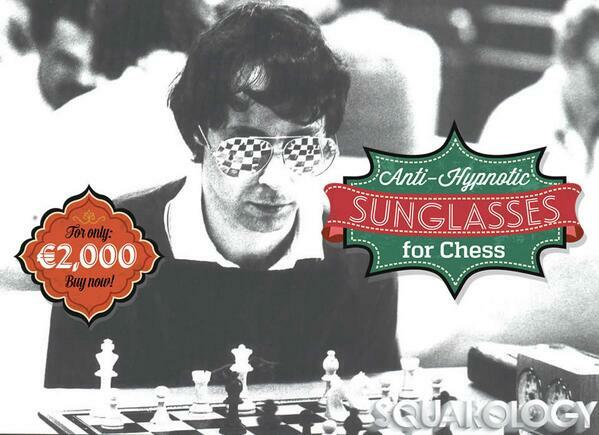 Back to speaking about the Sinquefield Chess Cup Round 3: Brian Jerauld, reporting for the official website wrote: At the 1959 Candidates Tournament, Hungarian GM Pal Benko, desperate to refute the “hypnotic stare” of the legendary Mikhail Tal, pulled from his pocket a defense never tried before: reflective sunglasses. Tal had decisively won every match of their career to that point. In the third round of the Sinquefield Cup, GM Hikaru Nakamura decided to try out 'Benko’s variation'. The eccentric American No. 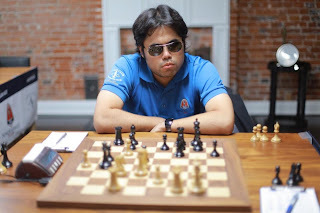 1 (Hikaru Nakamura) strolled into the Chess Club and Scholastic Center of Saint Louis on Wednesday, donning a pair of shades for his game against Norway’s Magnus Carlsen. Carlsen, perhaps through hypnotism, decisively held the lifetime series between the two at 7-0 with 13 draws. "For the first time in his life, Carlsen has to look at his opponent and see himself," quipped GM Ian Rogers, who was offering live commentary to a crowd at Lester’s restaurant nearby the Chess Club. "That will be scary." What happens on September 14, 2013? 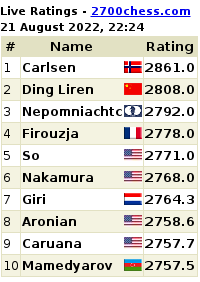 It's going to be Hikaru Nakamura versus Carlsen today in Saint Louis for the second game in the round-robin. Will Nakamura turn up with sunglasse again? 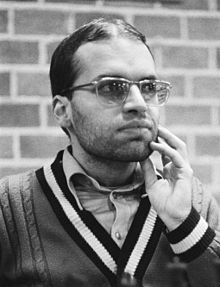 Even if Nakamura survives Carlsen's hypnotic glare, will Carlsen be using this hypnosis to pound out Viswanathan Anand at the World Chess Championship 2013 in Chennai? 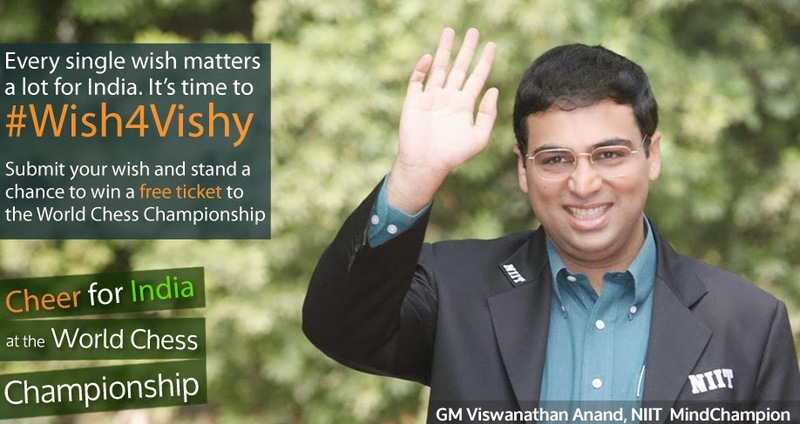 Has Anand already prepared some Indian techniques to take care of "such stuff" and will force the boy Carlsen to his knees on the chessboard this November? Exciting untold answers and the chess world watches with baited breath. P.S. 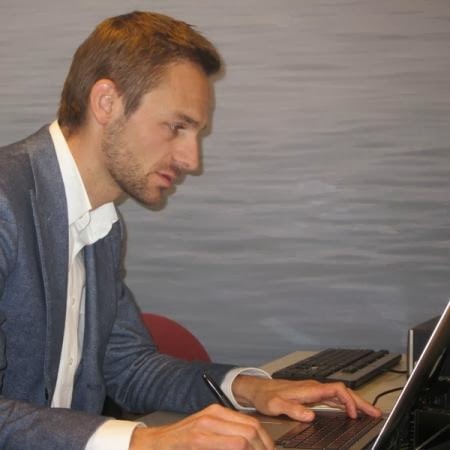 For those interested in chess and hypnotism, there's a neat article at Chessbase via Chess Notes.